I promise not to panic if you don't. 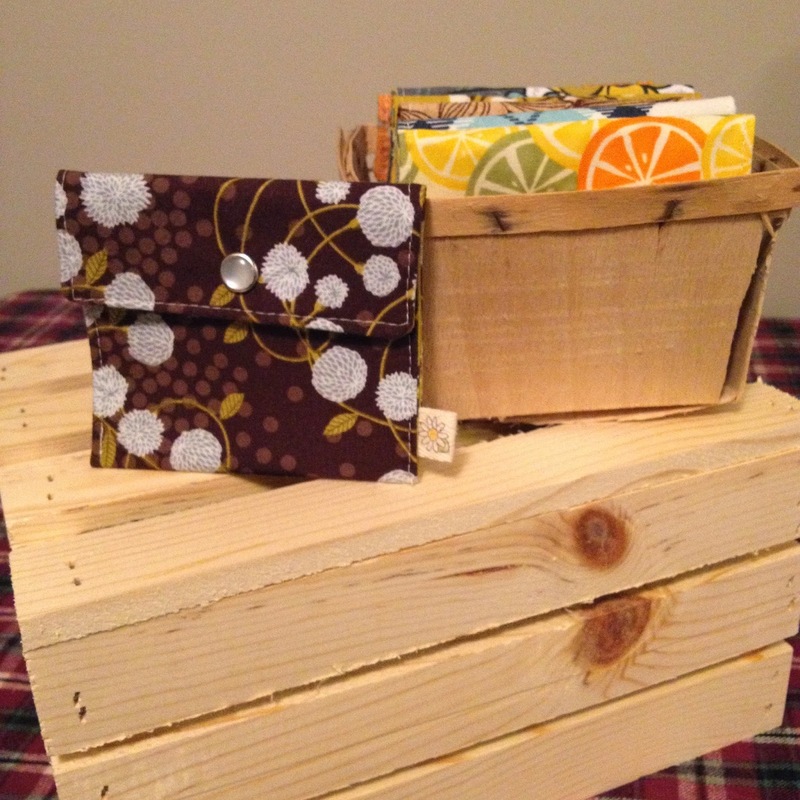 Here are some ideas at a variety of price points for the people on your list who enjoy handmade items. Lots of these things are ready to ship or available either at Great Pacific Gallery in Point Pleasant or Intentional b in Bradley Beach, NJ. Custom orders are always welcome...as long as you don't wait til the last minute! Last day for custom orders for holiday gifts is 2 weeks before you need them - 3 if they need to be shipped. Prices reflect ready to ship items. Custom items may be slightly more. I have a bunch of these pre-made and they will be delivered to Intentional b this week for locals. They are conveniently sized to hold store bought gift cards! So it's a two for one gift if you're going that route. Great for teachers, bus drivers, and other appreciation holiday gifts - adds a special personal touch. Made with two coordinating cottons, interfaced and closes with a pearl snap. Cute cute. My most popular gift for teachers is a coffee cozy. Pair it with a coffee shop gift card or a mug and you have a great gift. Can be made up in any color. Perfect for male teachers if they enjoy a specific sports team. Yes, I'll even sew up other NFC teams besides the Giants....I just won't like it. :) Buy 4 or more at once and get 25% off. Made of 2 coordinating cotton fabrics, lined with cotton blend batting. Loops over a button. Fits standard disposable coffee cups. Have a little one in your life that you are buying for? Consider a bib. 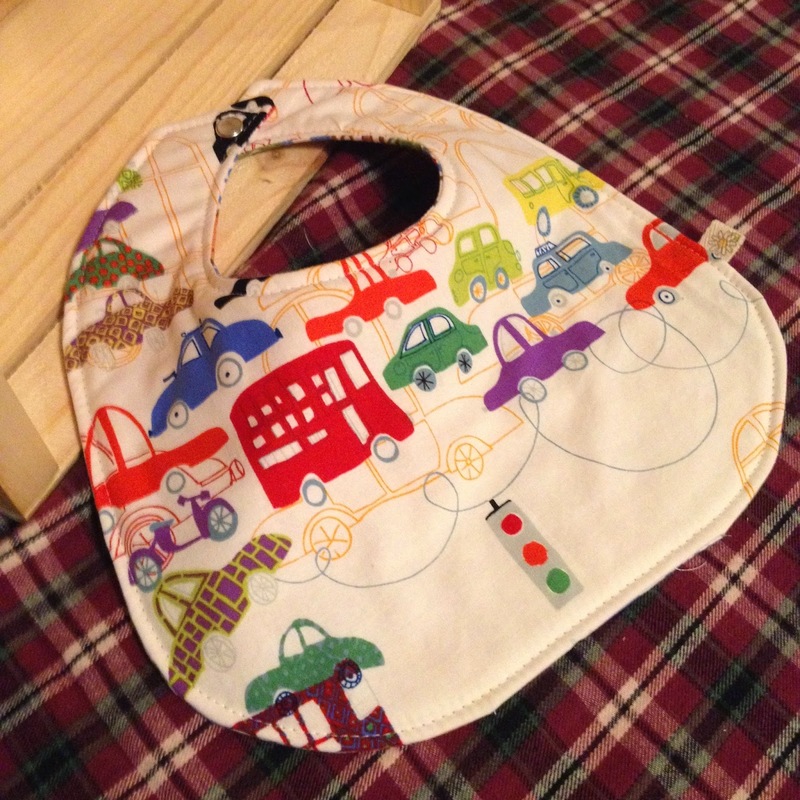 Available in two sizes, infant and toddler, these bibs are super absorbent with a batting layer in-between. They are cute on both sides, so they are reversible and they close with a pearl snap, so there is not messy velcro to deal with in the wash. The in-stock ready to ship ones are down at Interntional b. Or you can custom order one or more! Know someone who loves to crochet and/or knit? Do they need a pouch to store their tools? These are great for just that! 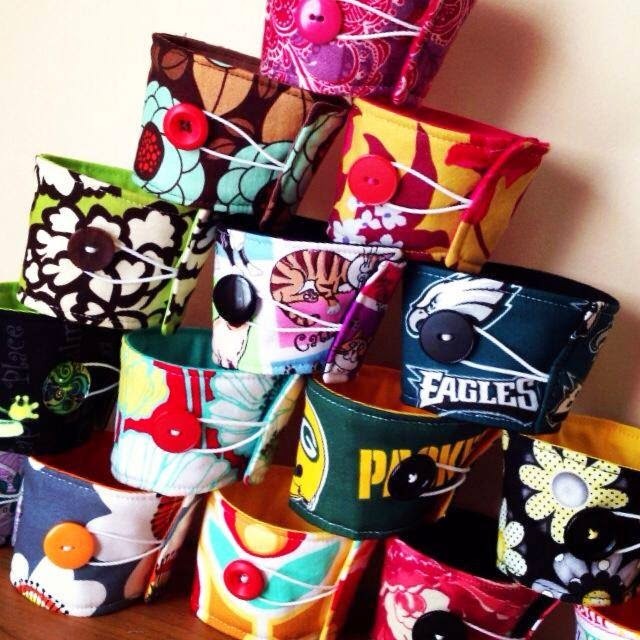 Made of two coordinating cotton prints or solids and lined with batting, each pouch closes with a pearl snap. 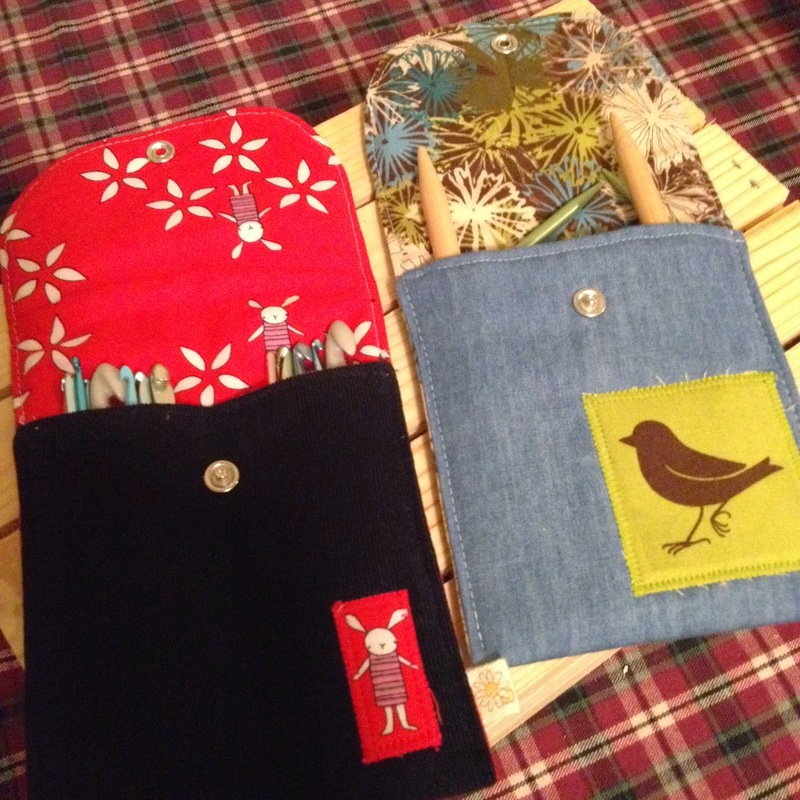 Bonus: The one on the left is great for holding pens...the one on the right could be used as a sunglass case! 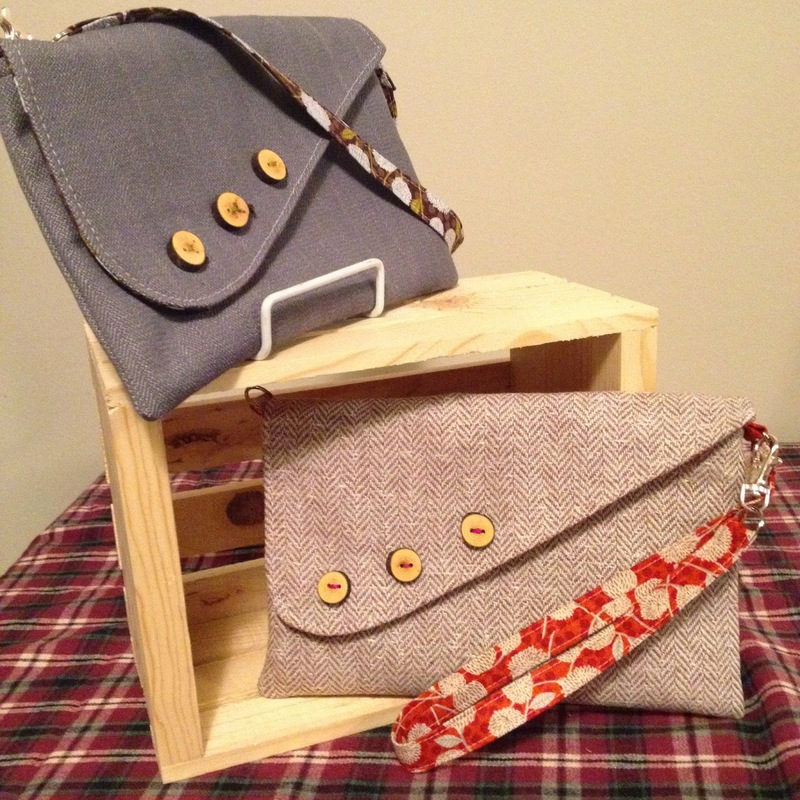 Great for carrying just your current project to the coffee shop or the yarn store for a little work night. Patterned after a small brown paper bag with grab handles, these bags are lined and interfaced and have a small side pocket for holding your tools so they don't get lost at the bottom. Yarn and tools not included. All crafty betty items are available at Great Pacific Frame Shoppe in Point, or as a custom order through my etsy shop. The newest clutch design from DLD. Sized to fit cash envelopes, but also can come with a zippered inside pocket and/or credit card slots. Convertible strap makes it either a short strapped shoulder bag or a wristlet. Real wooden buttons are hand-sewn on in coordinating thread. Truly a show stopping beauty. $22-28 Personalized cosmetic cases - available in lots of different styles. One of the shop's most popular items throughout the year, these are great gifts for anyone on your list that you'd like to have something personal. 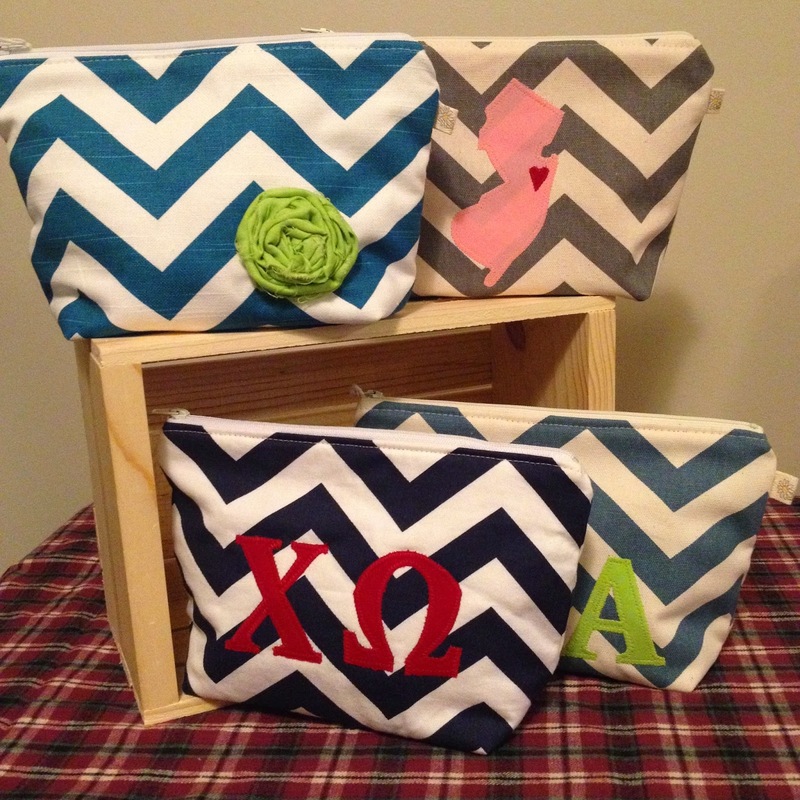 Custom order includes choice of chevron color, choice of solid letter/rosette color. The inside color is the same at the solid on front. Great for that someone who really really loves where they are from, or misses where they used to live. 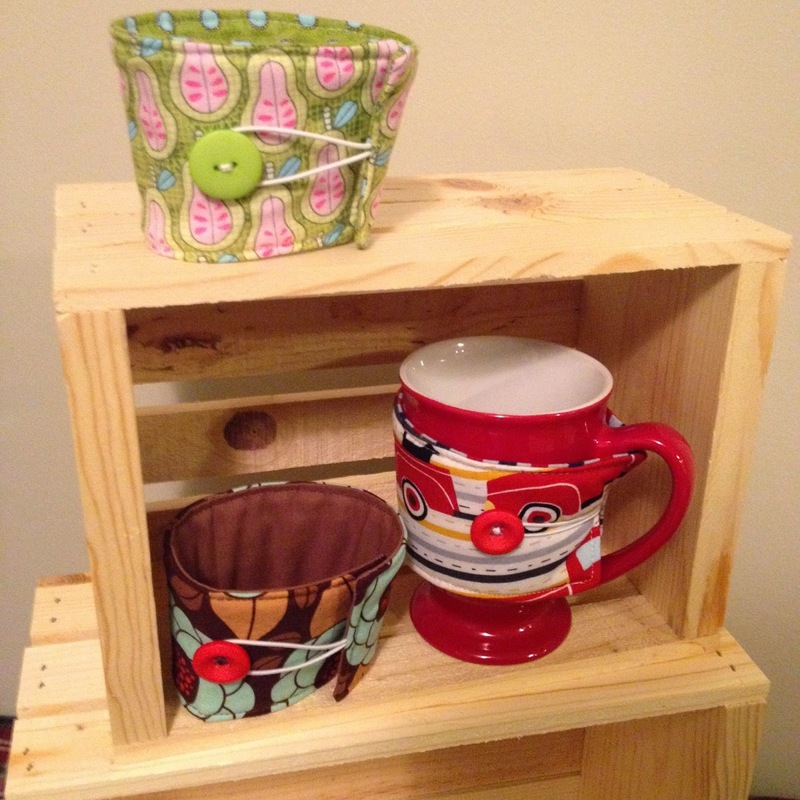 Perfect for college kids away at school or a grandparent whose grandkids are far flung. 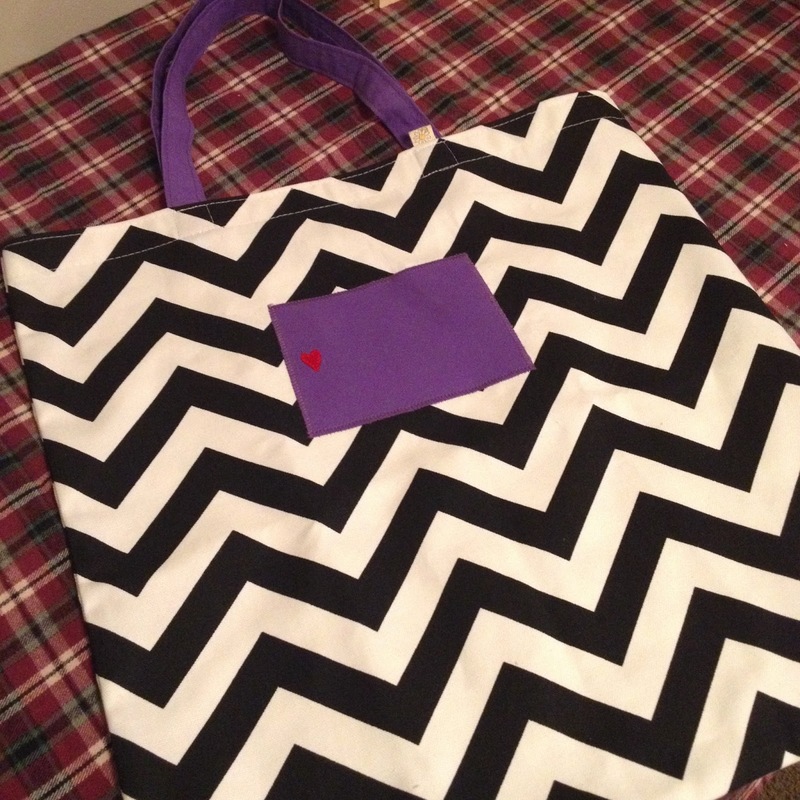 Black and white chevron bag, you choose state, state/handle color and where to place the heart. 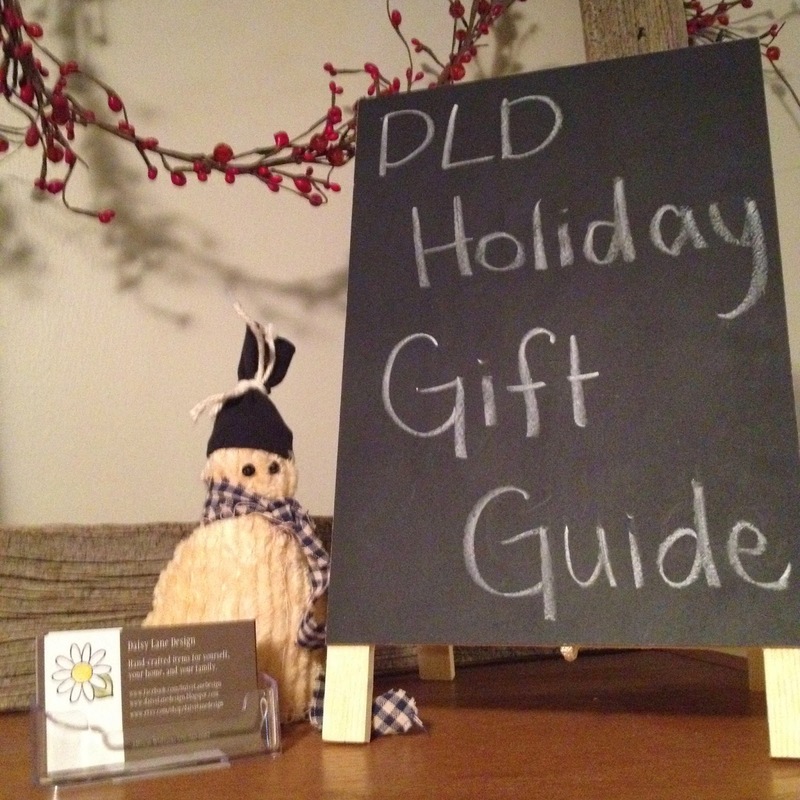 Daisy Lane Design gift cards can be used on DLD merchandise or sewing classes. I ask that you please not use them in Great Pacific or Intentional b, because they are separate businesses, but I can make up anything you see there that you'd like to use a gift card for. Available in any denomination. Hope that gives you some ideas for your gift list this holiday season. Of course, there are lots of items I make that are also available for the holidays - just wanted to highlight some new and popular ones. Let me know if you have any questions!